At some stage in our lives, most of us will find ourselves with a complaint about unsatisfactory goods or services. Some people find it easy to complain. For those who don’t, we inform you of your rights and give tips on how to assert your rights as a consumer. If you return to a shop with a faulty or unsatisfactory product, ask for the manager. In a large store or supermarket, ask for the department manager or customer services desk. Shop assistants are not always authorised to deal with complaints, especially if you want a refund. Also, asking for a person in authority shows you mean business. If the manager is “in a meeting” or “away”, insist that someone else must have been left in charge and ask to see that person instead. If this fails, make an appointment to call back and see the manager. If you are dissatisfied with the response you receive at a customer services desk, you can ask to speak to the manager. Do not accept the excuse that customer complaints have to be dealt with by specific personnel – remember, the manager is in charge of the whole store. Once you are speaking to someone in authority, be polite but firm. Do not lose your temper, swear, shout or make threats. If you remain reasonable, the chances are the person you are dealing with will too. Explain the problem and say what you want the shop to do to rectify the matter. Decide what you want if you are entitled to a full refund, a replacement or a repair. Are you prepared to accept a credit note or an exchange? That is, to someone who is able to do something about your problem. 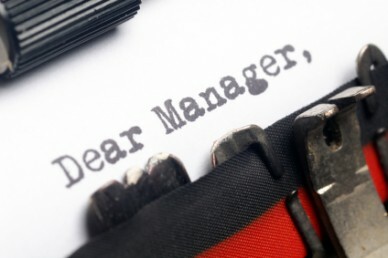 Ask for the manager, or ask who you should complain to and contact them in person or by letter. This may save a lot of time, aggravation and money. Be polite but firm and confident. You want the shop to recognise how reasonable you are. The basis of your complaint is that your legal rights have been infringed. Wherever practical, make your complaint in writing (preferably typed). Letters should be polite, business-like and reasonably formal. Keep a copy. This includes receipts, letters to and from the shop, invoices, cheque stubs and estimates. Where possible, the initial complaint about unsatisfactory goods should be made in person. A personal visit and a friendly chat with the retailer may succeed where a letter or phone call does not. If you do not get a satisfactory response, you may need to continue your complaint in writing. say you are cancelling your contract and tell the shop what you want it to do, for example, give you a refund. If you want the retailer to collect the goods, set a time limit for when you want it done. Enclose copies of relevant documents such as receipts or order forms (keep the originals). Address the letter to the correct person. If you have to, ring the store and ask for the manager’s name. This way you can be sure the right person is reading your letter. You should always keep copies of any letters you send regarding a complaint. They may be useful for future reference, or in case you need to take the complaint further, for example, to the shop’s head office, a solicitor or the Small Claims Procedure – see “Legal redress”. Also keep a record of any telephone conversations. If you talk to the shop manager or other staff members by telephone, make a note of what was said. Include the date and the name of the person you spoke with.